Alpha M subunit (Mr 170 kDa) of the CD11b/CD18 heterodimer. Tissue/ cell preparation (Mouse): C57BL/10 mouse splenic T cells and concanavaline A-activated C57BL/10 splenocytes. Our Abpromise guarantee covers the use of ab24874 in the following tested applications. 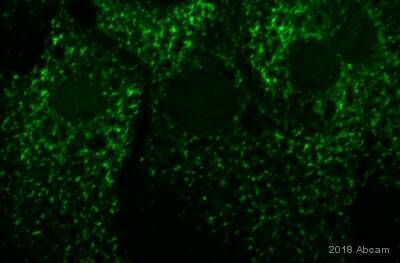 ab136125 - Rat monoclonal IgG2b, is suitable for use as an isotype control with this antibody. 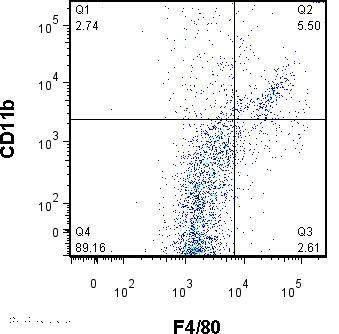 Flow Cytometry analysis of C57Bl/6 bone marrow cells labeling CD11b with ab24874 at 0.5µg (solid line), Rat IgG2b (FITC)isotype control (dashed line) at 0.5µg concentration. 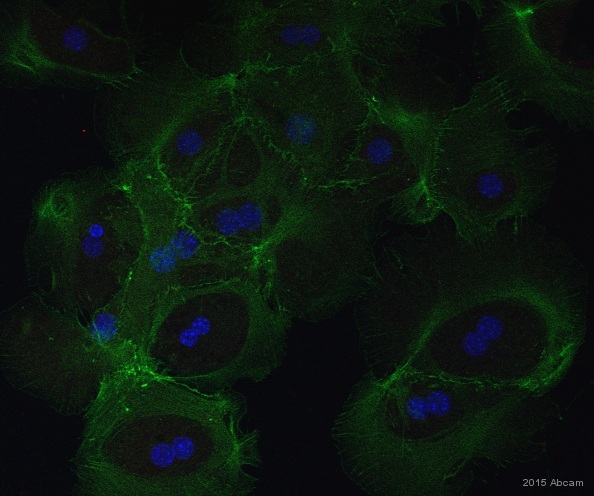 ab24874 at 1 µg/106 cells staining BALB/c splenocytes. Cells were then double stained with Rat monoclonal [RB6-8C5] to Ly6g (Phycoerythrin) (ab24884). Lymphocytes were gated and analyzed by flow cytometry. Publishing research using ab24874? Please let us know so that we can cite the reference in this datasheet.